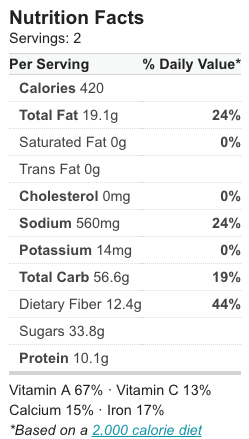 Pour 8 ounces of almond milk into a mason jar then add the chia seeds. Place the lid on the mason jar and shake the jar so that the seeds mix into the milk. Check back in 10 mins to reshake the jar so that the seeds don’t make a huge clump in the jar. After 2 hours, or overnight, take the jar out of the fridge, shake it again to even out the chia seeds. 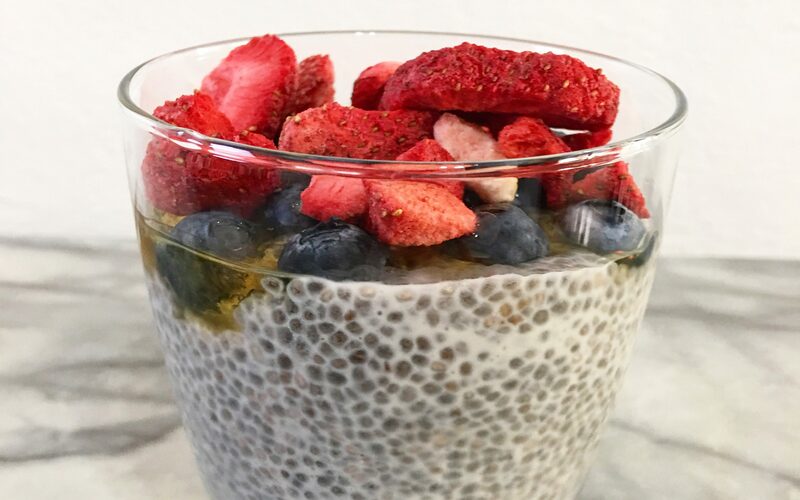 Add the agave nectar, blueberries, and dehydrated strawberries on top of the chia seed pudding and enjoy!